Sleep Apnea Treatment Tinley Park IL | Treatment for snoring and sleep disorders! Getting enough rest and sleep are critical to your overall health. You need air to breathe. You need food and water. You need sleep. It is essential that your brain and body have the time they require to re-boot each day. Your body, particularly your heart, builds up stress throughout the day. When you finally sleep at night, your heart slows down and begins to decompress, relieving the stress it gathered. Your body needs the time to recoup and collect enough energy to handle another day. During sleep, your brain and body revitalize. Your blood pressure decreases, and the pace of age-related diseases slows down. You can curb illnesses such as obesity, hypertension, memory loss, or diabetes. Not getting enough sleep can burden your heart by placing additional strain and stress on the muscle. Heart attacks, strokes, cardiovascular disease and – in severe circumstances – death have all been linked to sleep disorders. Often times, snoring is a pre-cursor to a more serious health concern known as obstructive sleep apnea. Those with sleep apnea experience a blockage of the airway. Often, they aren’t even aware of it. The obstruction prevents them from getting a steady stream of oxygen throughout the night. Sleep apnea is even a serious contributing factor to heart disease. Those suffering from sleep apnea experience elevated blood pressure, which is a risk factor for heart disease and stroke. The result of sleep loss can include serious health concerns and premature death. Sleep deprivation can negatively impact the function of your brain, increasing stress hormones that lead to depression. Even for those with mild sleep apnea, being fitted with an oral appliance can result in the reduction or cessation of snoring. This could be a wonderful gift for your partner! The standard treatment for sleep apnea has been the CPAP device, and it remains the gold standard for those experiencing moderate to severe sleep apnea. CPAP stands for Continuous Positive Air Pressure. The patient wears a machine that pumps a steady stream of air into their nose or mouth throughout sleep. However, many people find this uncomfortable and they stop using the machine. If you experience sleep apnea and can’t tolerate or find the CPAP frustrating, we can offer you an alternative. 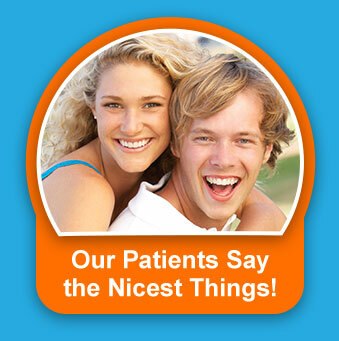 Dr. Ryan will custom make a SomnoDent™ oral appliance. This is a compact acrylic device that fits over the upper and lower teeth much like an orthodontic retainer or mouthguard. It carefully repositions your tongue and jaw to open your airway and allow increased air flow to the lungs at night. Oral appliances for sleep apnea treatment are very simple to place and remove, easy to clean, and convenient for travel. 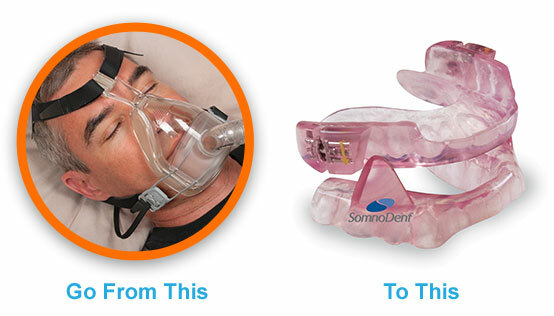 They are also comfortable and have a high success rate for patients suffering with sleep apnea and snoring. Snoring and sleep apnea don’t have to fill your nights. Give us a call today at (708) 532-4131 for a no-cost/no-obligation consultation.